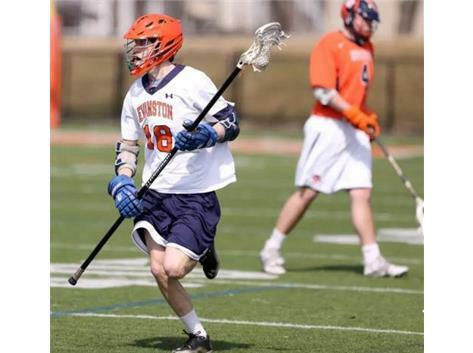 @ Spring Break Trip "ETHS vs. Air Academy"
@ Spring Break "ETHS vs. Fairview"
Evanston is THE original Illinois High School lacrosse team. In 1959, presumably inspired by stories of Syracuse University's Football/Lacrosse phenom Jim Brown, and with the help of several ETHS student-athletes, legendary Wildkit Football Coach Murney Lazier was the first to put lacrosse sticks in the hands of ANY Illinois high school athletes. To The Coach, it may have initially served as an means to gather his football team for otherwise "illegal" spring practices, but the founding student-athletes (who were also football players) were pushing for a new, cool Spring Sport. 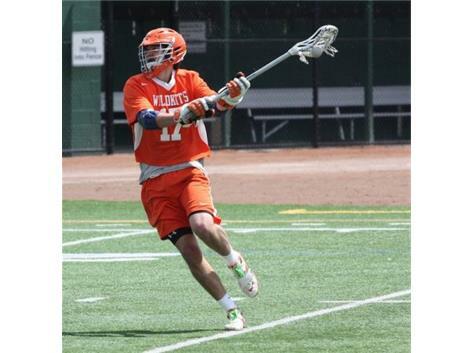 Murney quickly came to love lacrosse too and even ventured "out East" to really learn how to coach the game. The first Interscholastic lacrosse game in Illinois was played in Spring 1968, between the Wildkits and New Trier East "Indians" (Witnesses report ETHS prevailed in that one.). By the mid 1970's there were 4 "inaugural" HS teams: Evanston, Oak Park, New Trier West, New Trier East. The spring seasons 1980>1982 supposedly saw no ETHS Lacrosse teams. But Our Program restarted for the Spring of 1983 and has been continuous since. 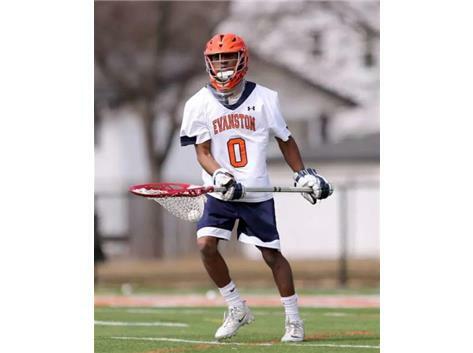 Subject: Re: BLAX: Evanston upsets Stevenson 9-8 in Dramatic Overtime Playoff Win!! 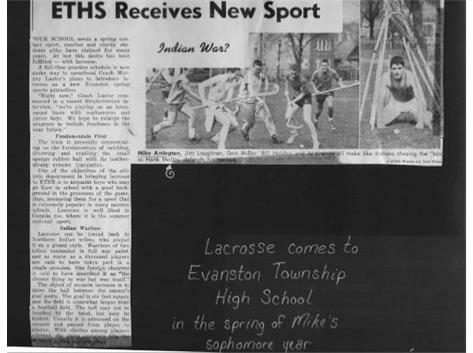 1964-1967, ETHS was the only high school LAX team in Illinois. We had 4 squads, composed entirely of members of Murney Lazier's championship football team players (plus me, a non-football playing runt). Two days a week we did drills that did not involve use of the stick. Some skeptics accused Coach Lazier of clandestine spring football (not allowed under IHSA rules). Yes, the drills bore a close resemblance to blocking and agility work. Two days a week we did drills involving use of the LAX stix and ball. On Wednesday and Friday, we played each other. The Wednesday Rules permitted moving picks and allowed locks on the opponent from head to toe. At the end of the spring LAX season, all 4 squads celebrated a State Championship. In 1968, New Trier East started a team. ETHS had no trouble humiliating them twice. It was lots of fun. We also played 2 games that year against lake Forest College. In Game one, we whipped them. They were probably high on Nixon and Agnew. 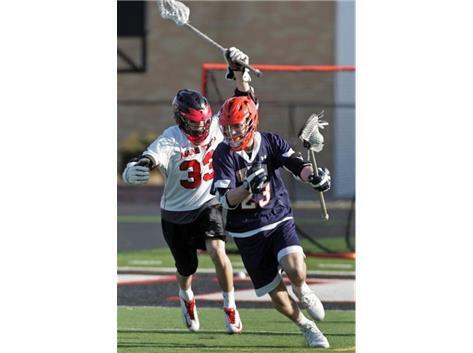 Lake Forest demanded a rematch a few weeks later and outscored us, but never beat us. Congratulations to all of you 21st century Wildkits.. 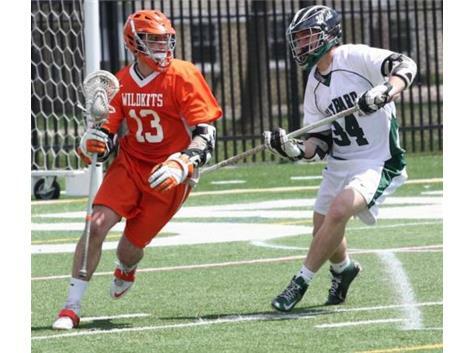 I was surprised to discover how far Lacrosse has come since the day that Coach Lazier started it at ETHS. Coach Lazier wanted us football players to participate in sports all year round. There were a lot of players that were out for baskeball, wrestling or swimming in the winter and out for track, tennis or golf in the spring. 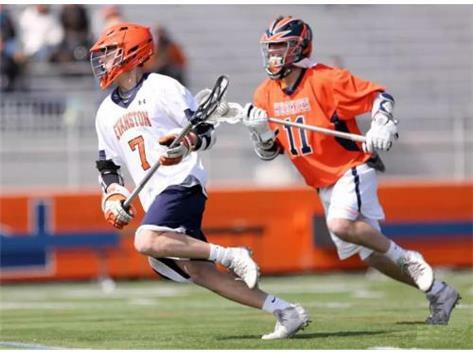 And then there were those who didn't have a sport in the spring—Lacrosse was the perfect solution. I threw the discus quite well, but switched over to Lacrosse since it seemed to be so much fun. In one of the early sessions, Coach Lazier explained what the game was all about. Then he, half-jokingly, said "Okay, tackles and guards over here, centers, quarterbacks and ends over here." Coach Lazier was one heck of a coach. Those of us who played for him learned a lot about sports and a lot about life. Subject: Re: I'm in. Coach Lazier's last Captain...was it 1974? You're good. I did play with Jim O and John O for football. What a great set of brothers. I started as left middie in '74 and center middie in '75, known for never losing a single face off my senior year. Coach Lazier had me rated as high school all American scoring more goals left handed than right handed and went on to play for Navy. Great memories playing with wooden sticks & catgut! Best game on 2 feet, run and gun! I've got to tell you that our last game against New Trier I vowed to the the team to put every one of their players down. Poor goalie made the mistake of trying to bring the ball up. Put him on his back too! Got em all!! Of course we won but I'll admit now there was more than a lacrosse game going on. Any wonder I went on to track down al Qaeda ? Same result, sorta.